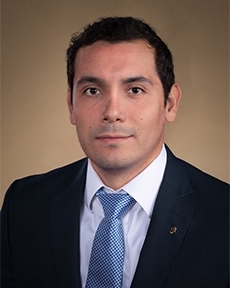 Victor Hugo is an investment analyst & trader for Tompkins Financial Advisors. He works with the portfolio managers and investment committee to develop and implement investment strategies. He previously held the of associate wealth advisor. Prior to joining Tompkins, he worked in commercial banking and interest rate risk management at Wells Fargo Bank. He holds the FINRA Series 7 securities registration through LPL Financial. Originally from Lima, Peru, Victor Hugo’s family moved to Ithaca in 1994. He attended Carnegie Mellon University, where he received his bachelor’s degree in business administration with a minor in computational finance. He resides in Ithaca and is a Sponsors for Educational Opportunity (SEO) Alumnus.